Parkway owns one of five North American Magnesium Thixomolding operations. This complementing technology is an alternative material product solution enabling customers to manufacture parts with properties that do not exist with die cast and injection molded parts. Magnesium Thixomolding is a niche process that is similar to Thermoplastic Injection Molding but uses magnesium alloy ingot chips instead of polymer pellets. 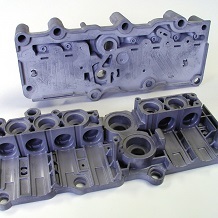 This process combines the material benefits of die casting with the manufacturing flexibility and fine detail of injection molding, allowing manufacturers to integrate the mechanical and thermal conductivity properties of magnesium as well. To learn more about magnesium click here. Magnesium Thixomolding is accomplished by feeding small chips of magnesium alloy into the molding machine’s barrel, which brings the alloy up to the necessary temperature (~1,040 – 1,100°F). Combined with the machine’s rotating screw, the alloy chips become a mixture of liquid and solid, or “thixotropic” slush, and is rapidly injected (start to finish ~40 milliseconds) into the mold cavity where the magnesium cools. This process eliminates additional thermal processing and the need for additional machining as components can be molded with greater detail, much thinner walls, and to near net shapes. In addition, less energy is consumed than magnesium die casting, harmful gases aren’t emitted, and fire hazards are reduced, and results in a finished product with far less porosity and improved fracture mechanics compared to die casting. 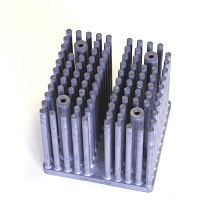 Thixomolded Magnesium was a natural choice for this heat sink application. 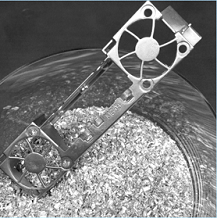 Thixomolding was able to achieve the intricate design requirements, while the heat transference properties of magnesium provided proper functionality. Complex as-molded detail and heat dissipation properties made Thixomolding a logical choice for this industrial hydraulic fluid manifold. Magnesium's low mass, durability and ability to mold intricate designs were prime considerations in sourcing this device housing. 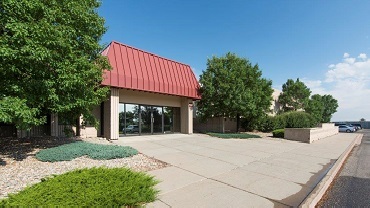 Our Magnesium Thixomolding operation is housed only in Loveland, Colorado. Superior processing and industry knowledge, technical excellence, and best-in-class facility with superior quality equipment make the Loveland Thixomolding Operation a leading provider of a niche technology.